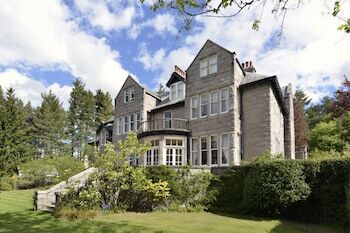 When you stay at Lys-Na-Greyne in Aboyne, you'll be 12 minutes by car from Muir of Dinnet National Nature Reserve. Free self parking is available onsite. With a stay at The Notley Arms Inn in Monksilver, you'll be within a 10-minute drive of Bakelite Museum and Exmoor National Park. With a stay at Hammersmith One - Q Home in London (Hammersmith), you'll be within a 15-minute drive of Natural History Museum and Hammersmith Apollo. With a stay at The Haldon Guest House in Paignton, you'll be within a 5-minute walk of Paignton Beach and Dartmouth Steam Railway. The front desk is staffed during limited hours. When you stay at The Forest Country House B&B in Newtown, you'll be 15 minutes by car from Dolforwyn Castle. Free self parking is available onsite. With a stay at St Faith Street in Maidstone, you'll be within a 5-minute walk of Brenchley Gardens and Hazlitt Theatre. A stay at The Fernside places you in the heart of Sandown, within a 10-minute walk of Sandown Beach and Sandown Pier. Free self parking is available onsite. When you stay at Whiston Hall Hotel & Golf Club in Stoke-on-Trent, you'll be 11 minutes by car from Alton Towers. Free self parking is available onsite. A stay at Willows Guest House places you in the heart of Great Yarmouth, steps from Pirates Cove Adventure Golf and North Beach. Featured amenities include multilingual staff and luggage storage.